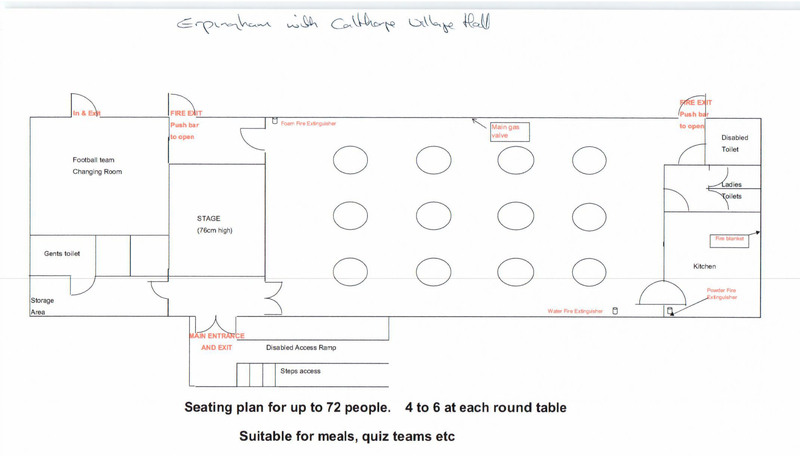 Erpingham with Calthorpe Village Hall offers a very spacious, flexible venue for a wide range of activities and private functions. Recently re-decorated throughout and extended to provide disabled facilities, it is the perfect place to hire for an event or to celebrate a special occasion. 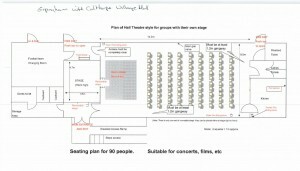 The hall can accommodate up to 100 people, depending on the type of function. Ample car parking space to the front and side of the building and disabled parking bays at the front of the building. The Hall features ramped access and wide doorways. The modern kitchen is equipped with extensive catering facilities. 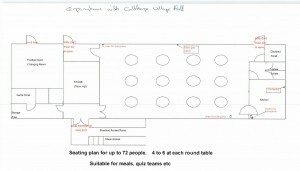 A serving hatch direct from the kitchen makes it an ideal venue for many functions. The main Hall is spacious and suitable for all kinds of dancing. 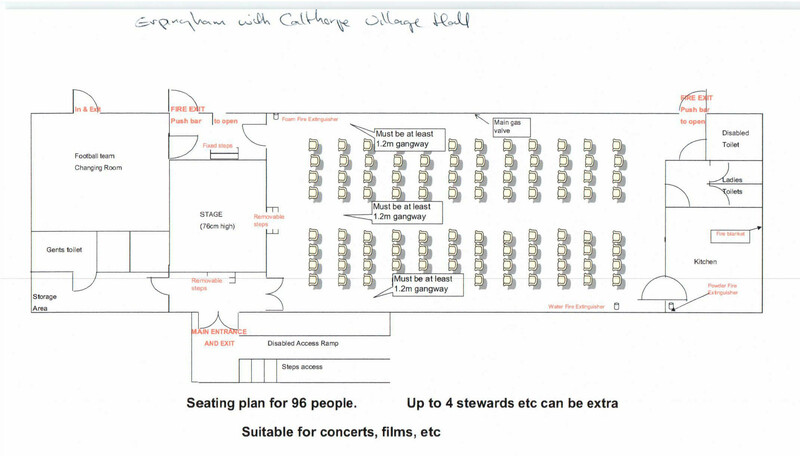 The village hall Audio/visual system is a cabinet-mounted system consisting of a DVD/CD player, an HDMI lead for connection to other devices e.g. laptops, a projector and large screen (electrically operated) and 4 speakers. 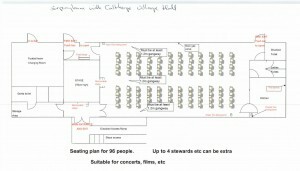 The system is suitable for films, meetings and presentations and also for music for parties and other events. 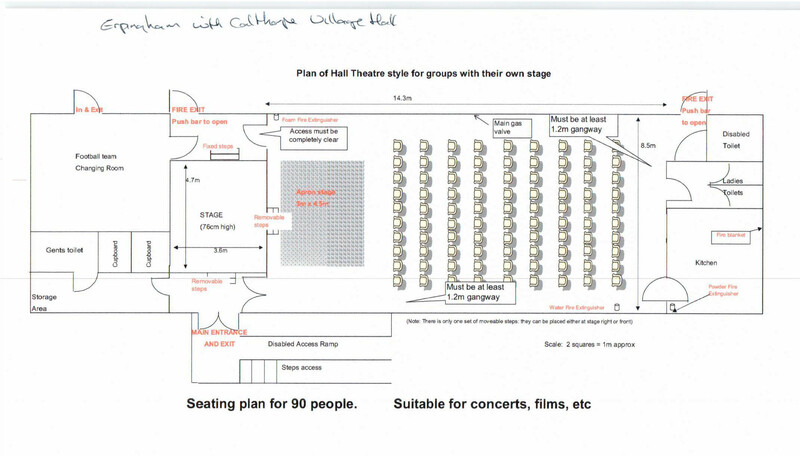 The Hall has a raised wooden stage ideal for theatrical performances or musical events.